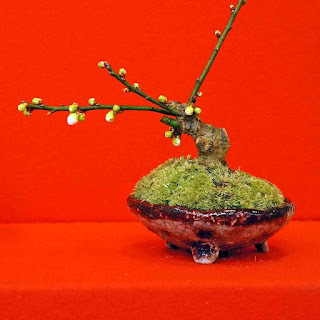 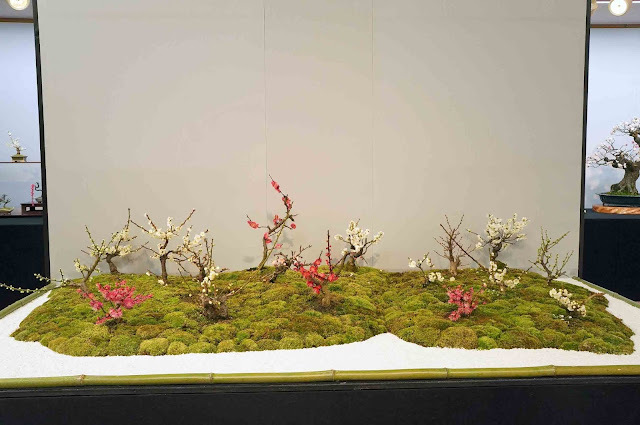 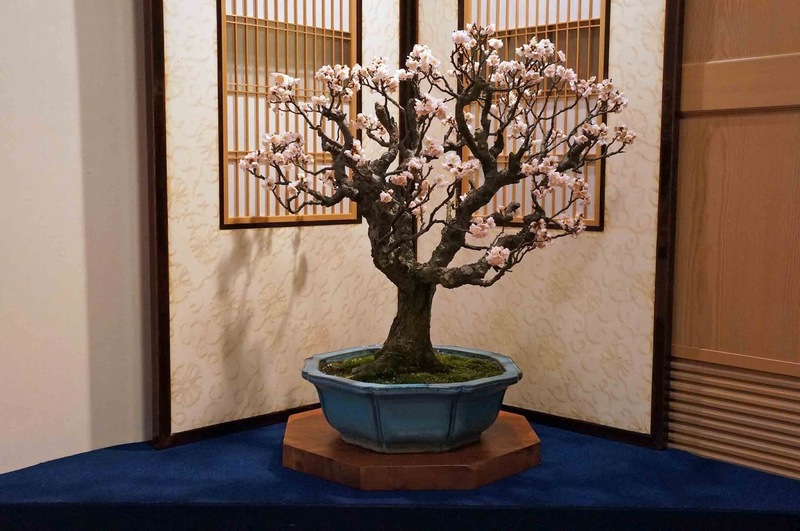 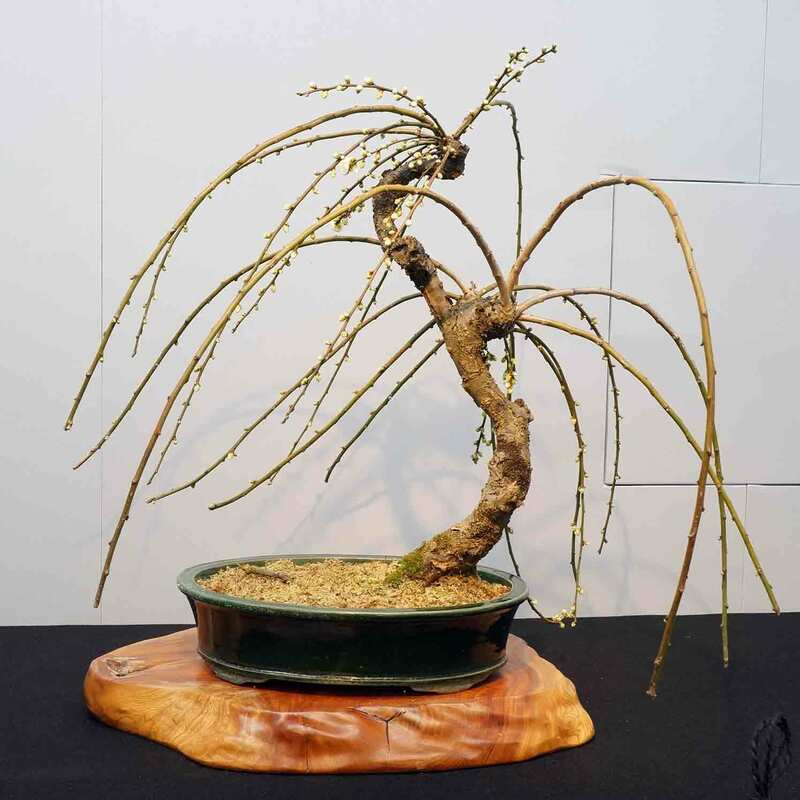 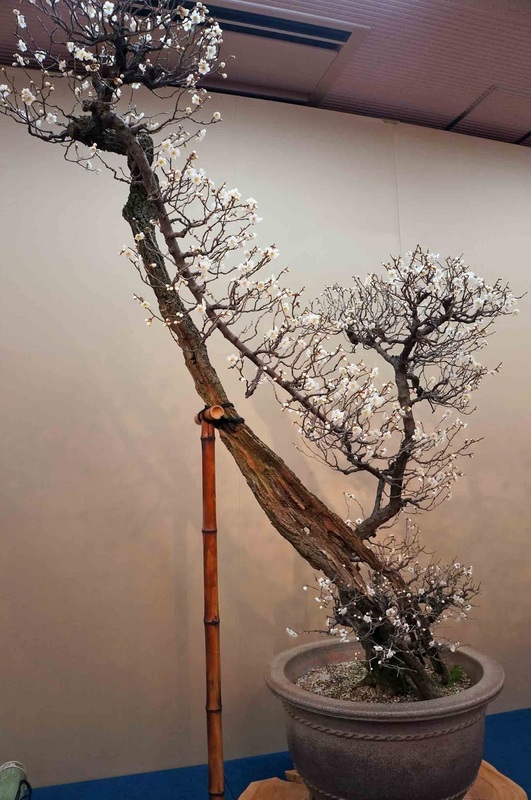 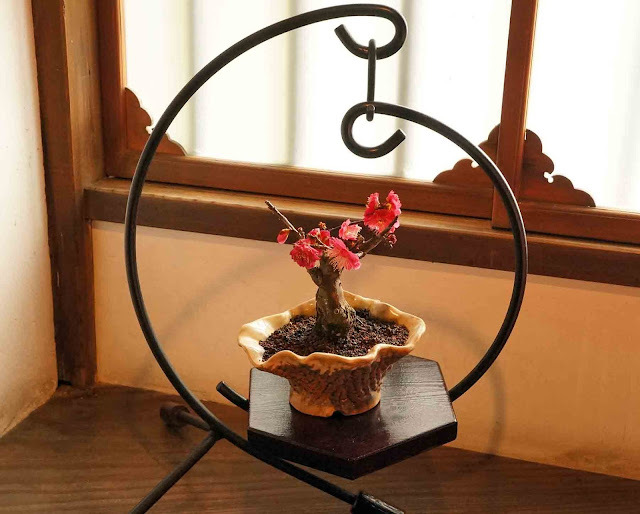 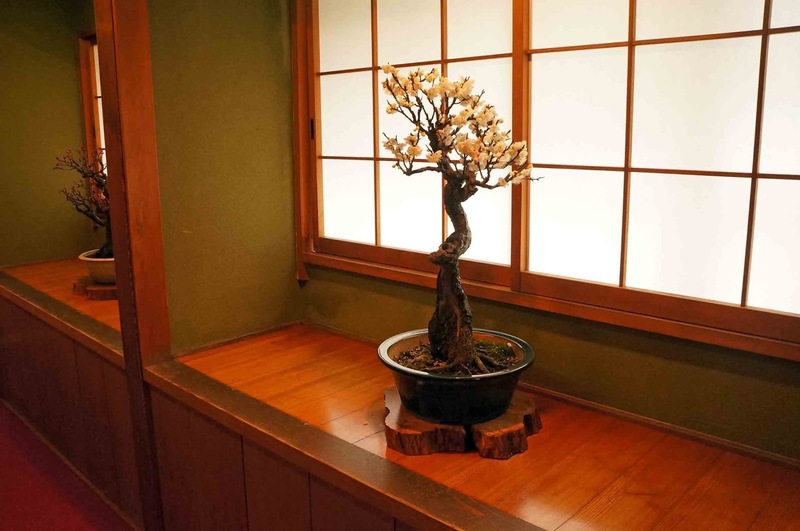 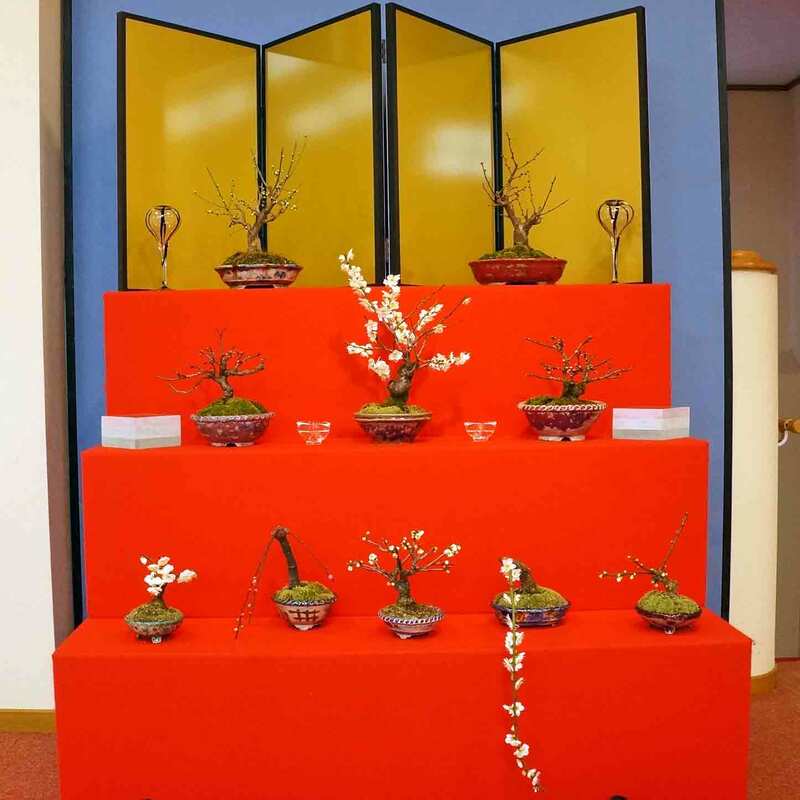 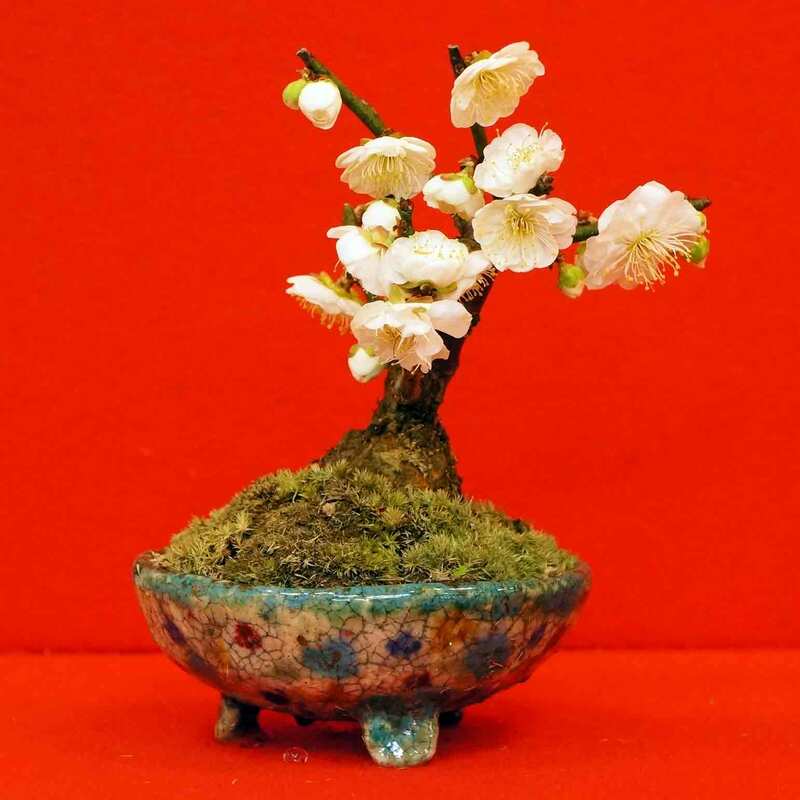 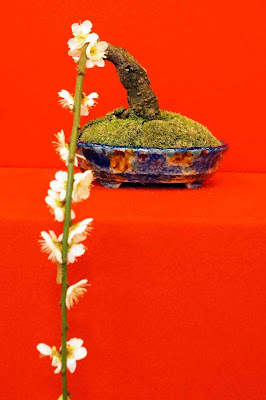 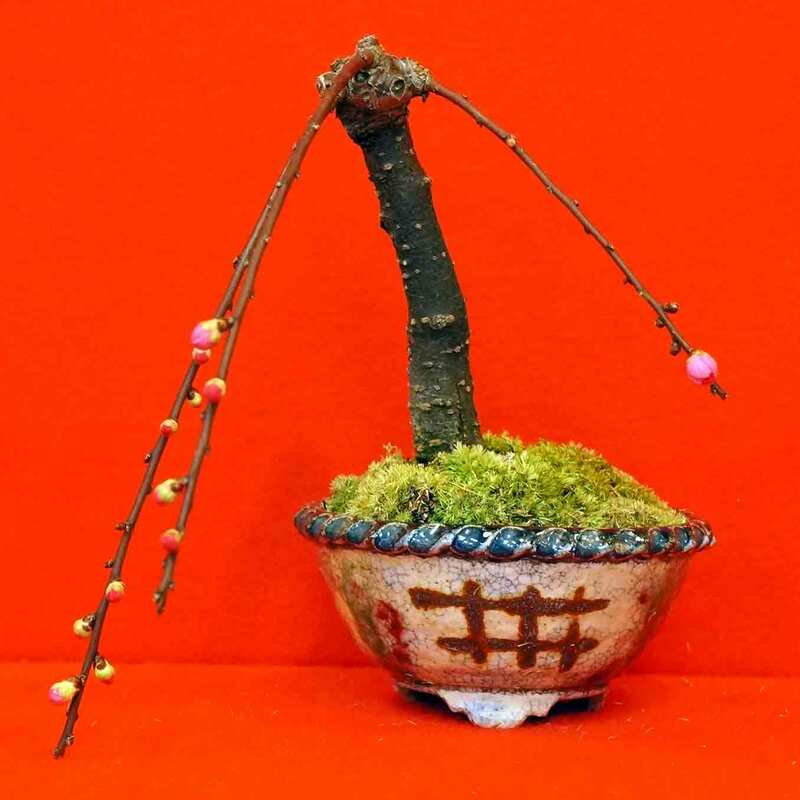 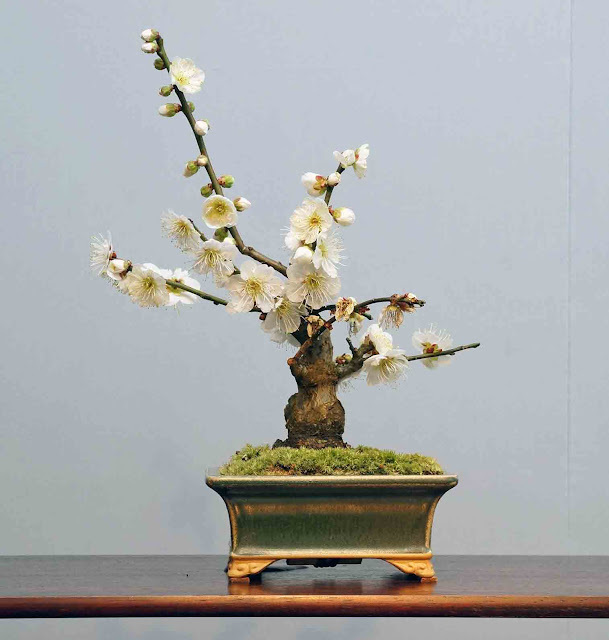 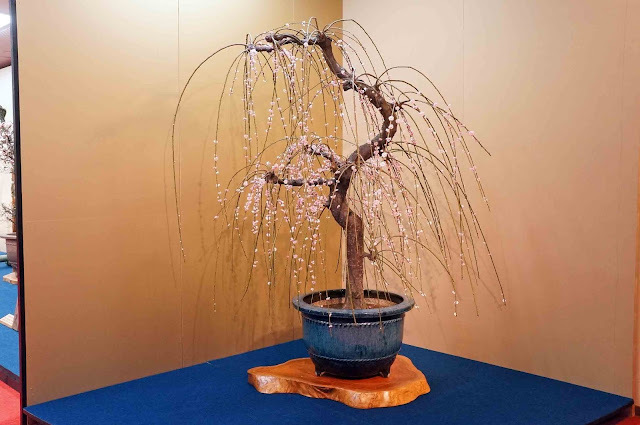 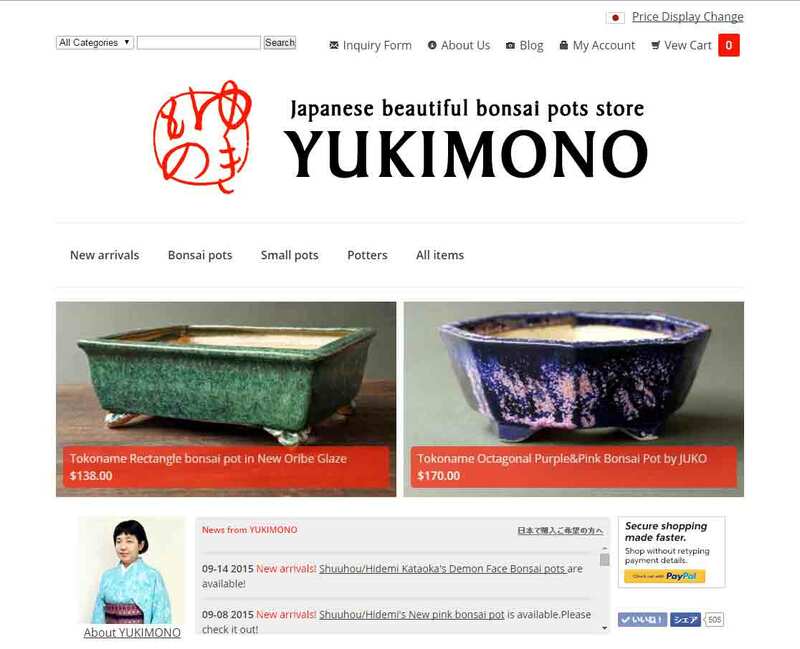 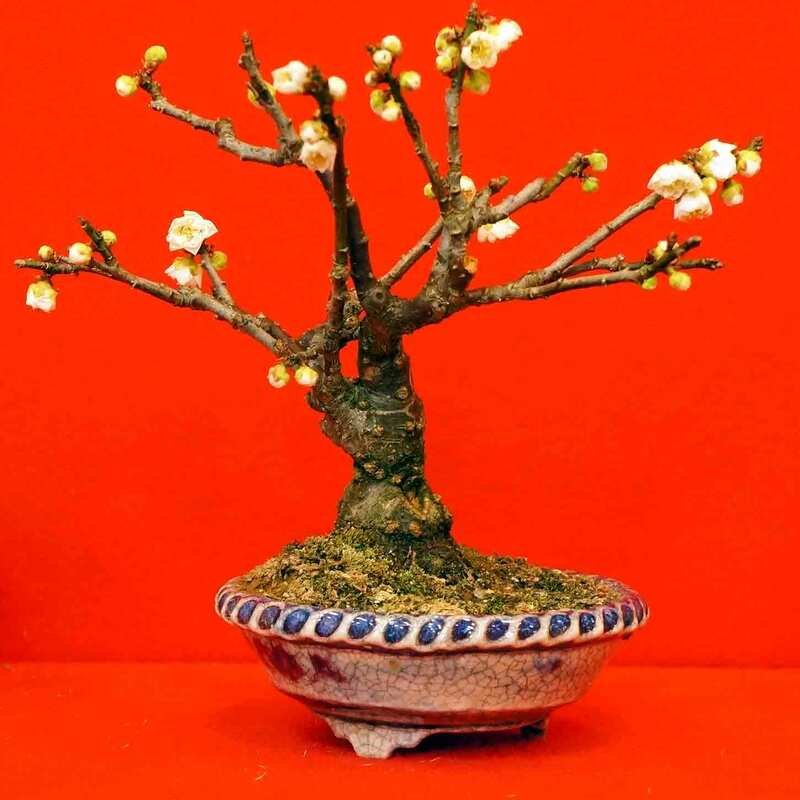 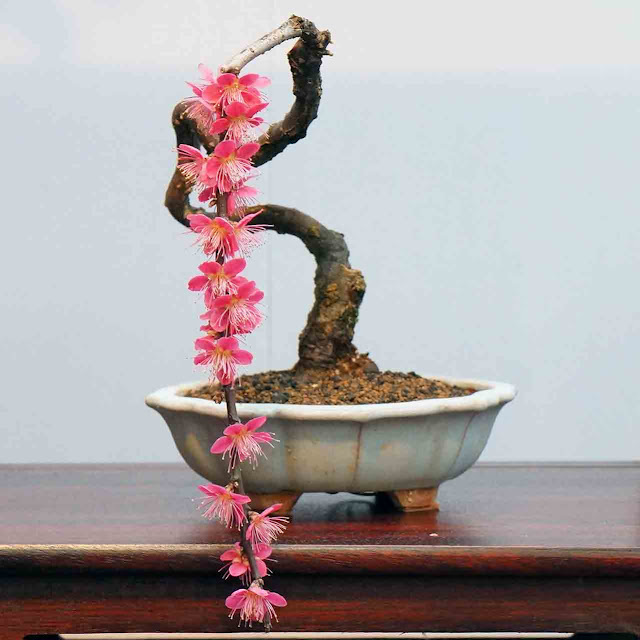 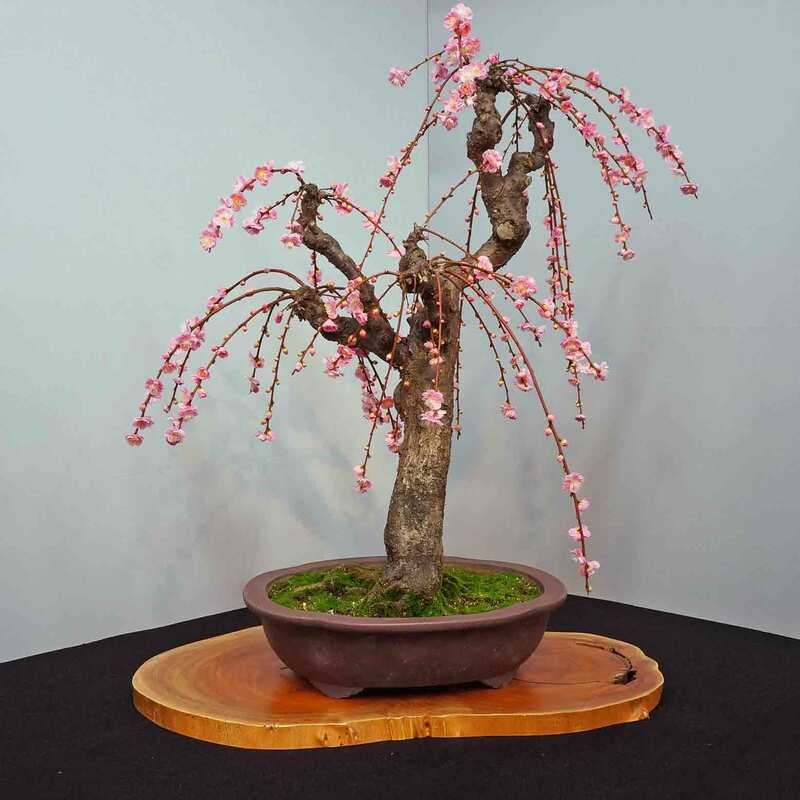 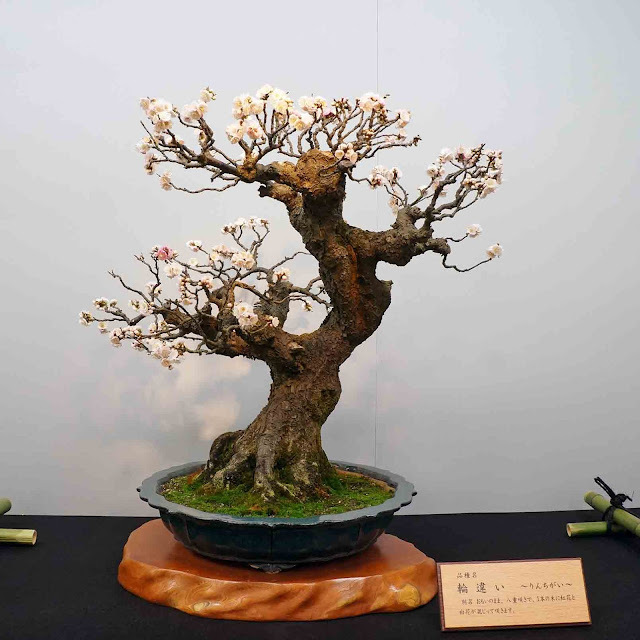 For Your Small Japanese Garden by YUKIMONO: The 65th Bonsai Exhibition of Ume trees in Nagahama, Nagahama Bonbai-Ten. 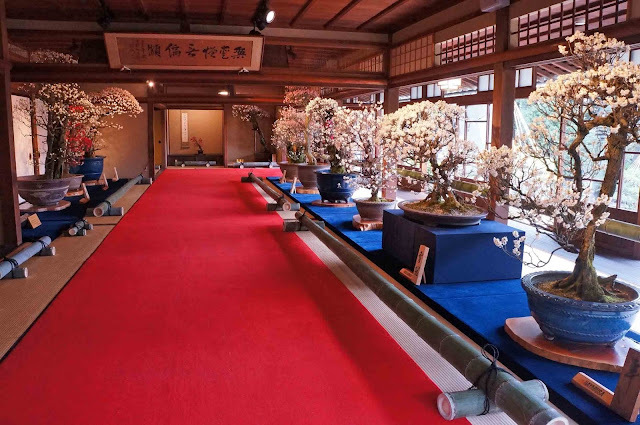 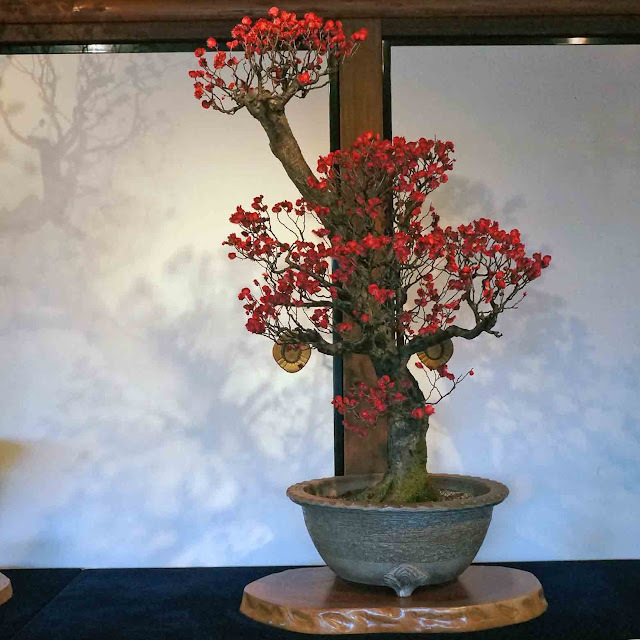 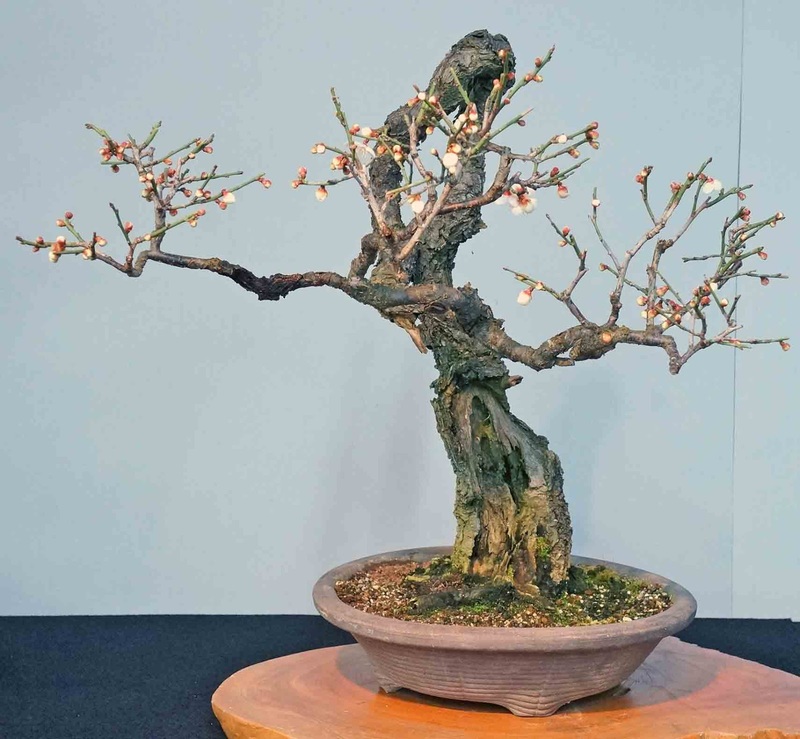 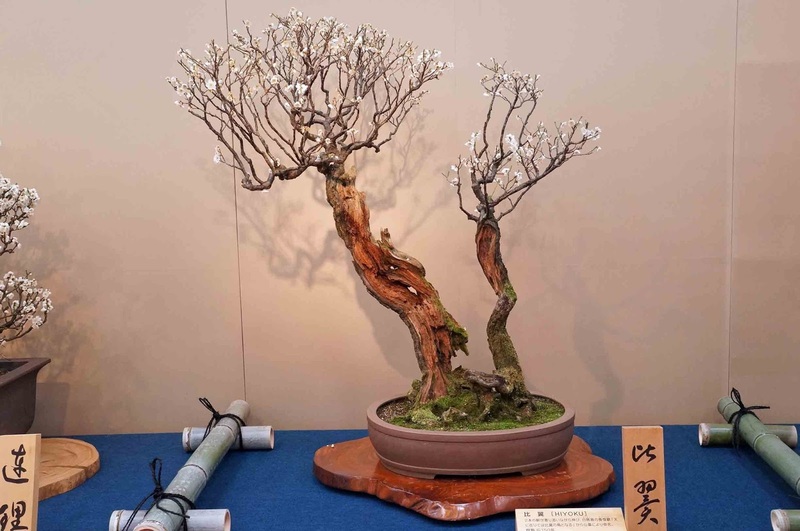 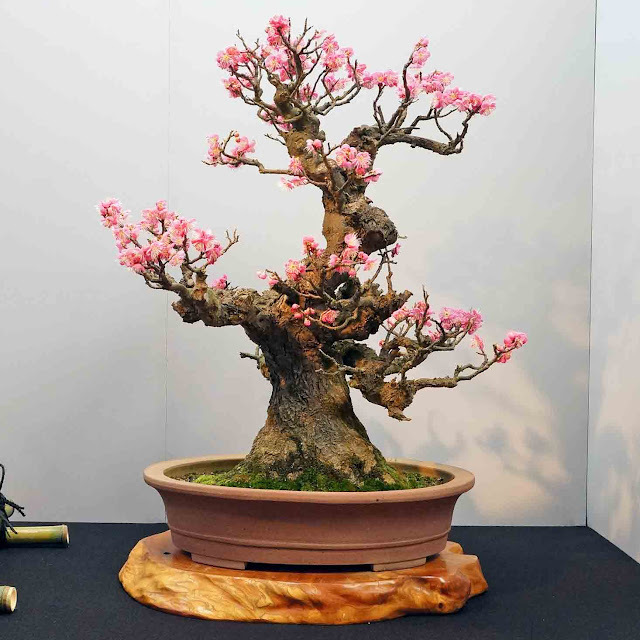 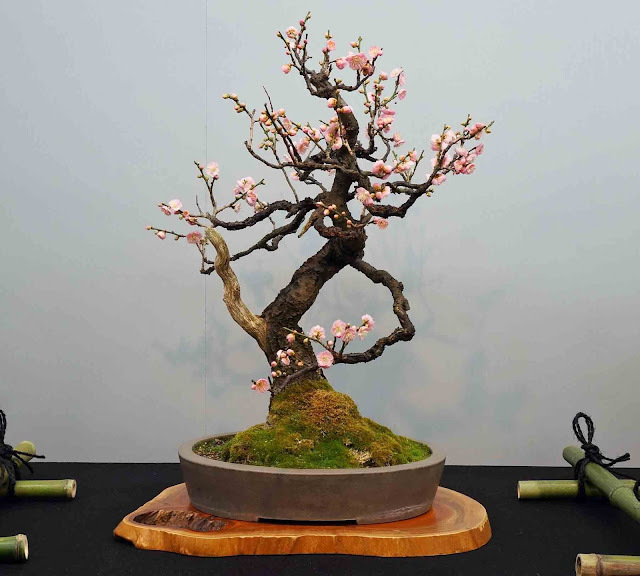 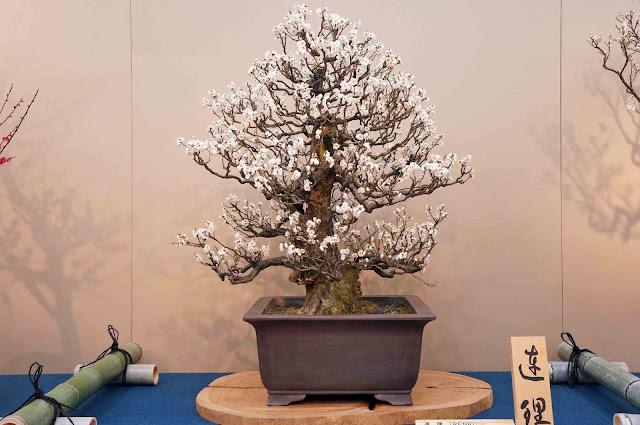 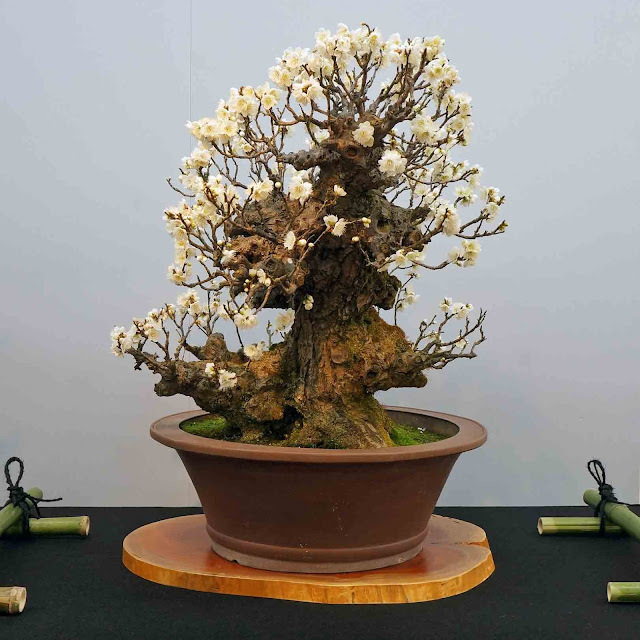 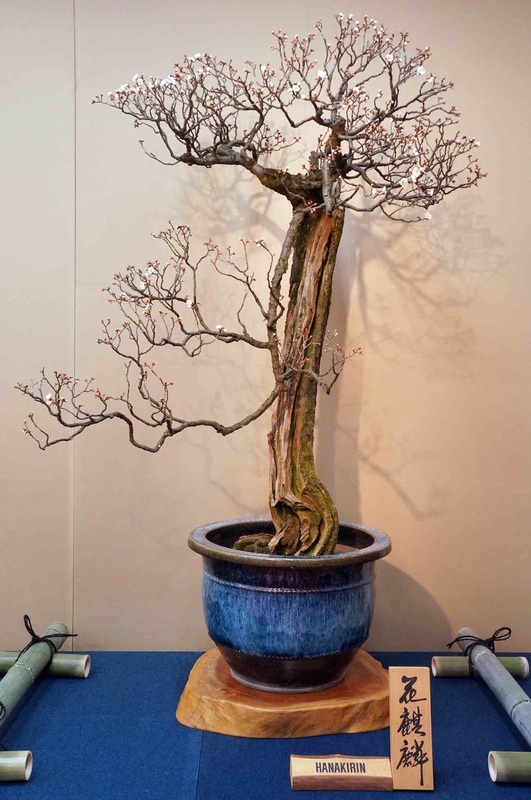 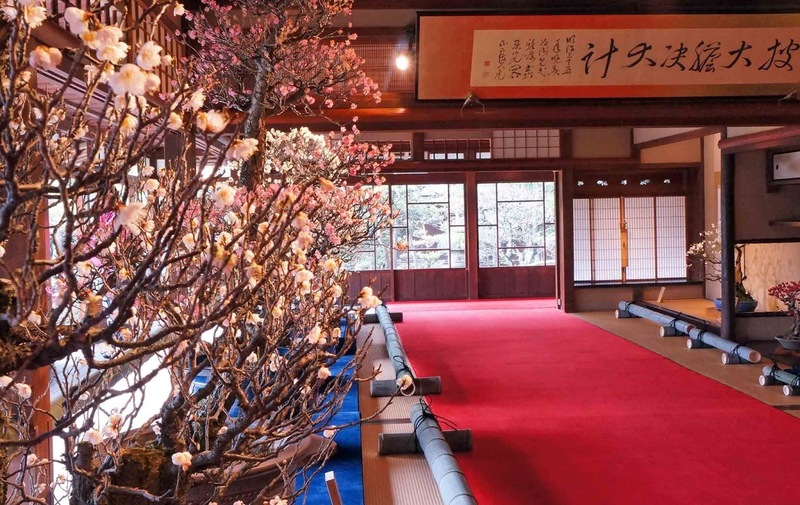 The 65th Bonsai Exhibition of Ume trees in Nagahama, Nagahama Bonbai-Ten. 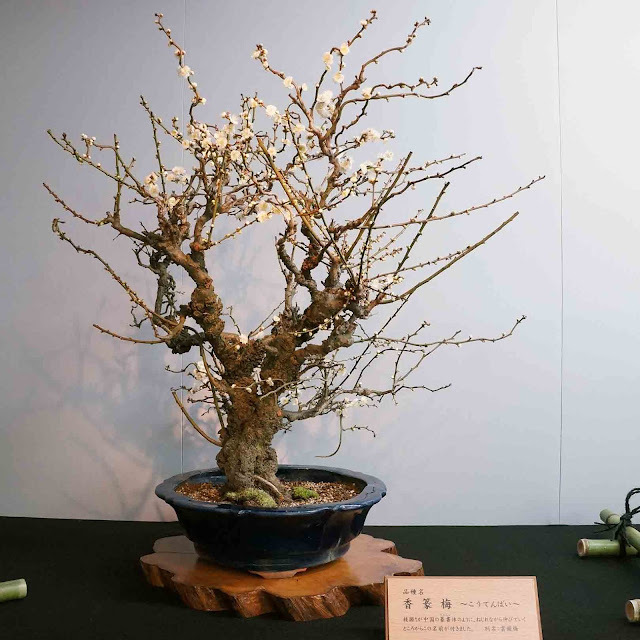 I went to see the Japanese Plum trees(Ume trees) bonsai exhibition "Nagahama Bonbai-Ten" on january 21. 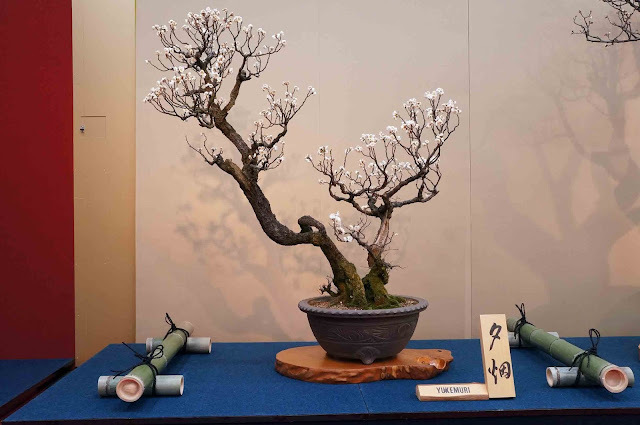 It is held in Nagahama, Shiga prefecture, Japan from January 9 to March 13. The exhibition place Keiun-Kan is a really beautiful Japanese old style house built as a state guest to welcome the Emperor Meiji. 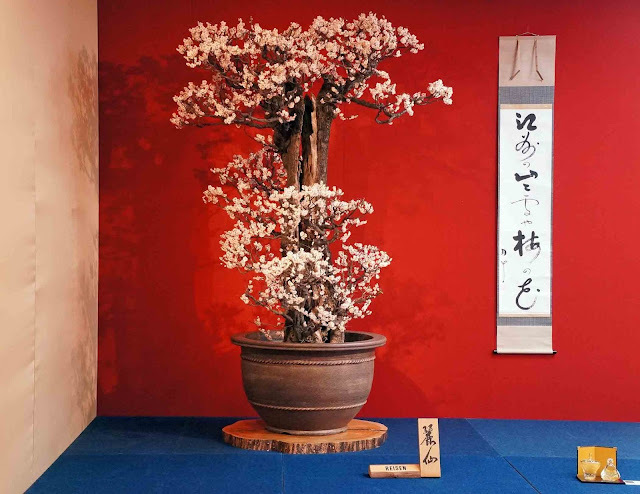 I heard the exhibition has long history. 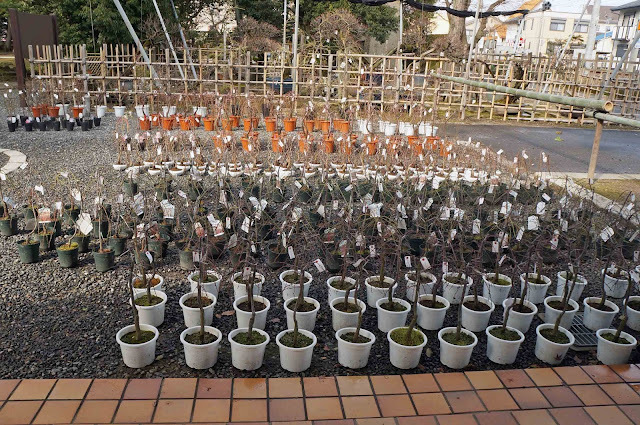 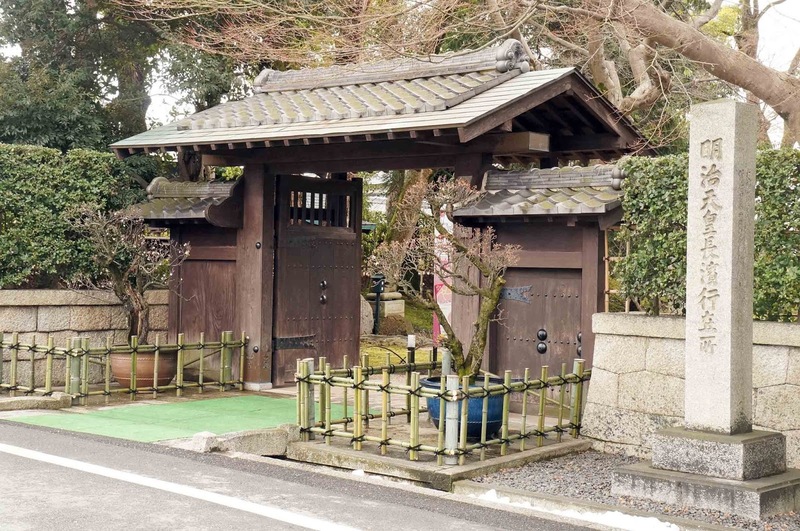 It began in 1952 of the next year when Shichizo Takayama (故高山七蔵氏)gave 40 bonsai trees to Nagahama-city. 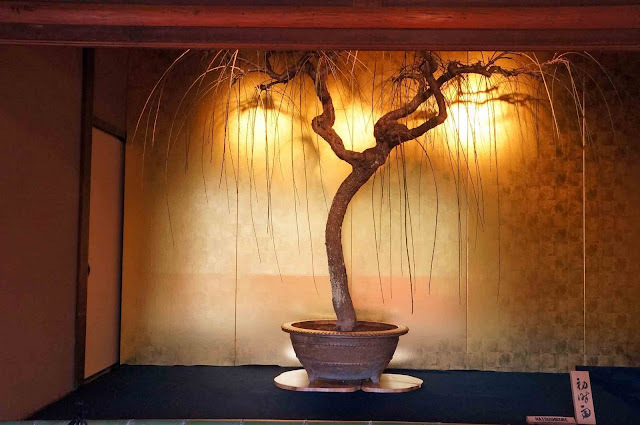 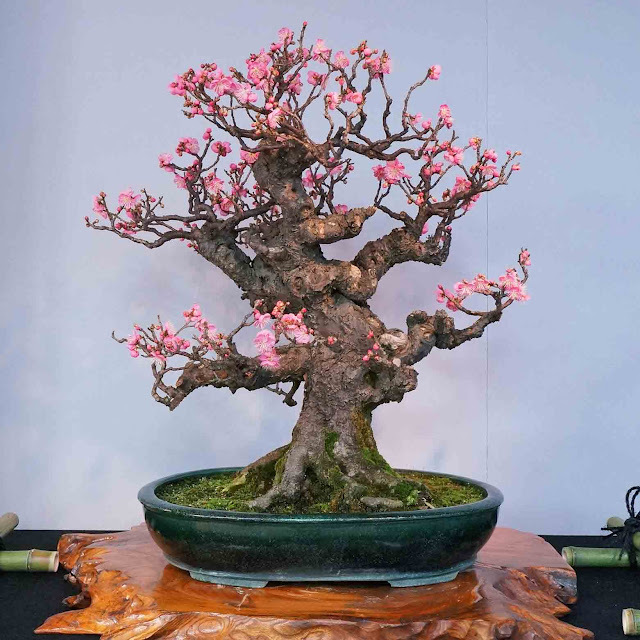 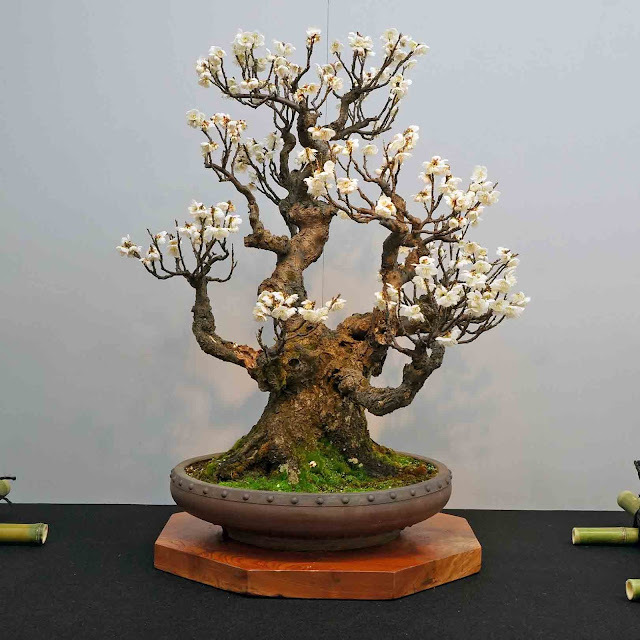 I think one of the highkight of this exhibition is that the beauty and the power from those trunk and branches of Ume bonsai trees. 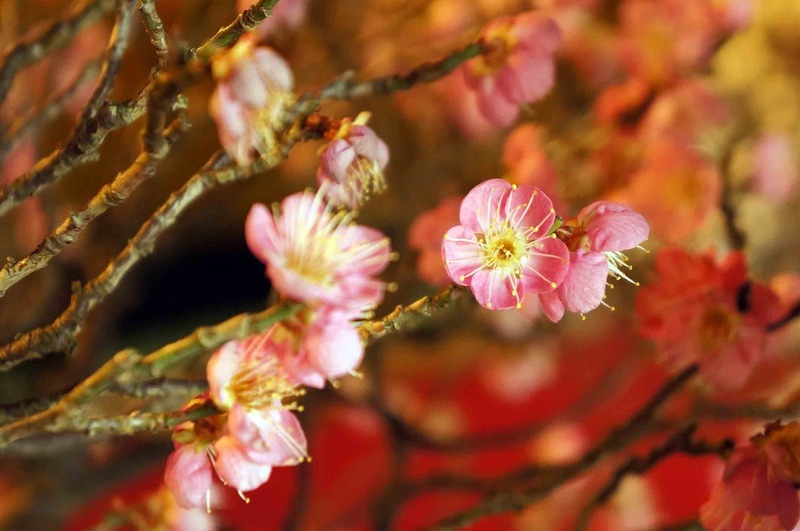 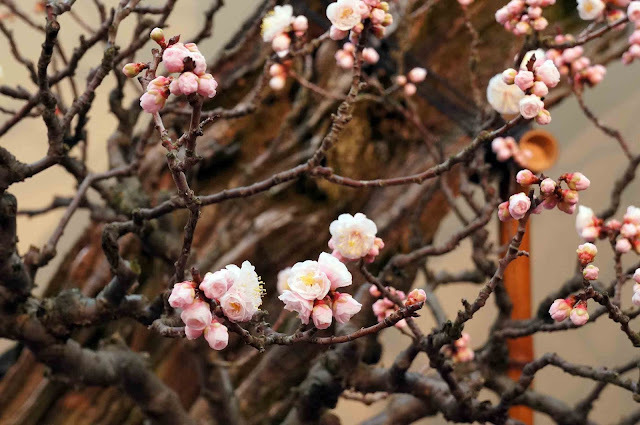 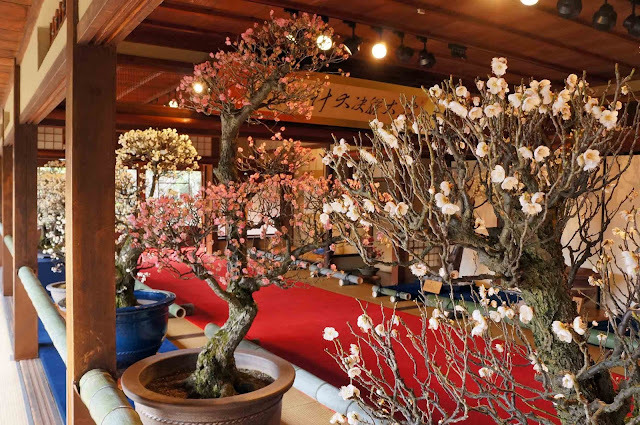 In addition, one of fascinating things is that you can enjoy various kind of Ume flowers all at once here. 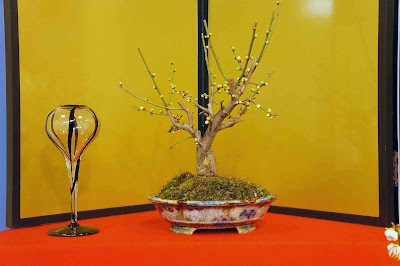 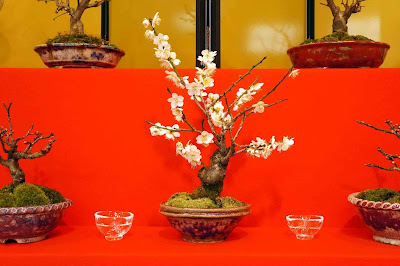 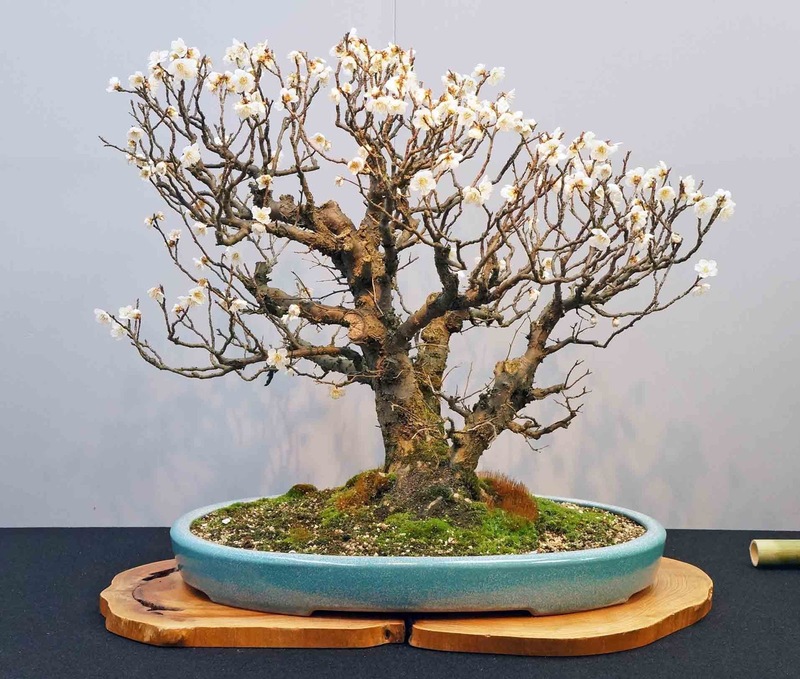 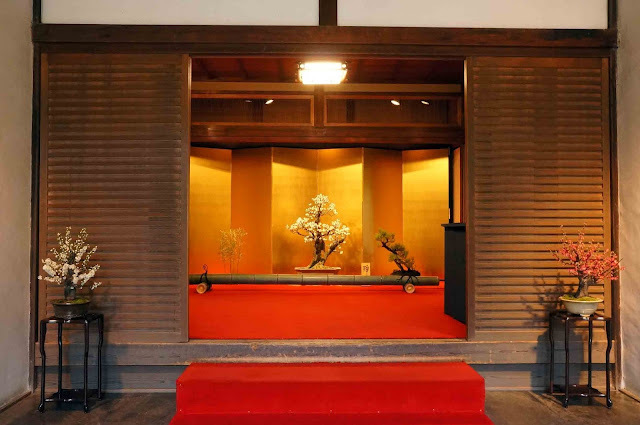 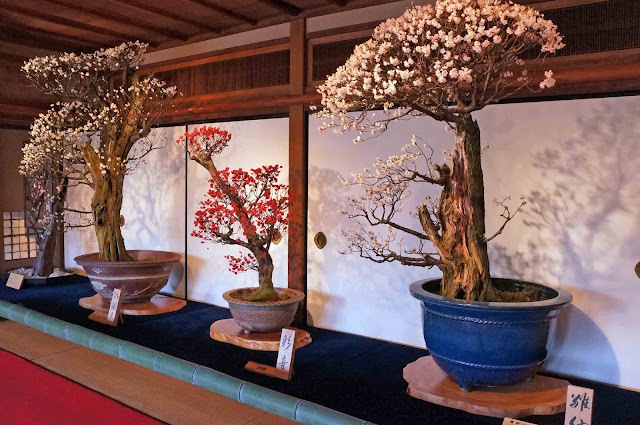 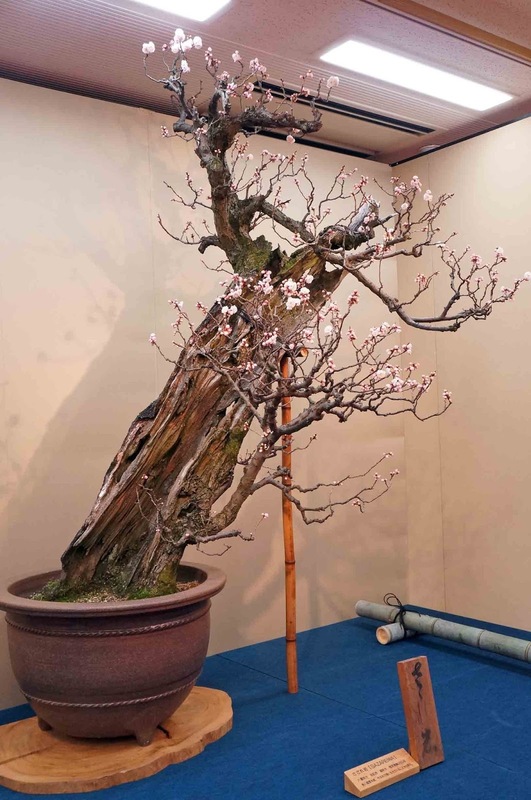 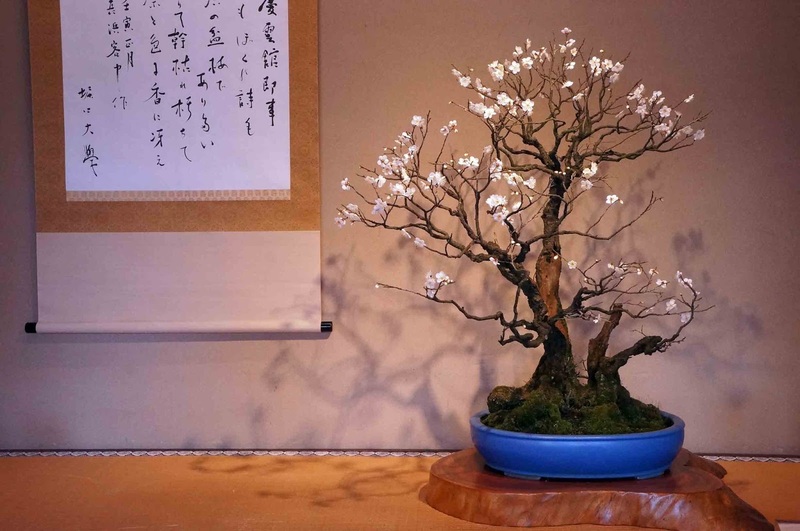 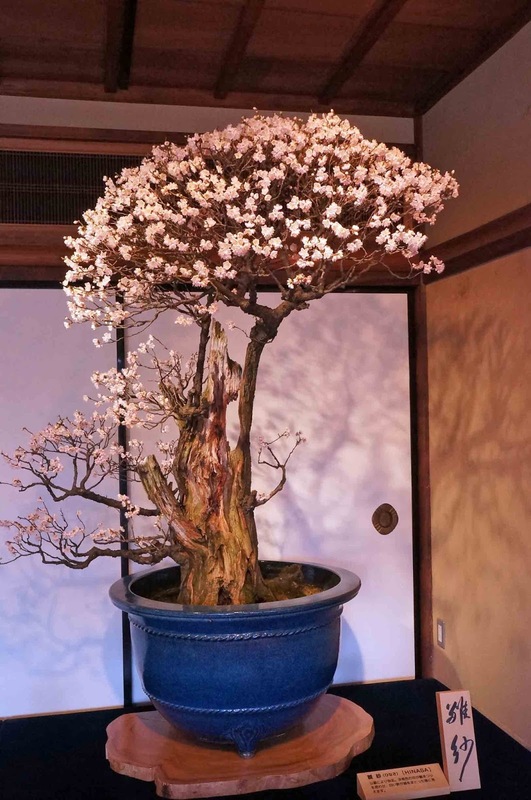 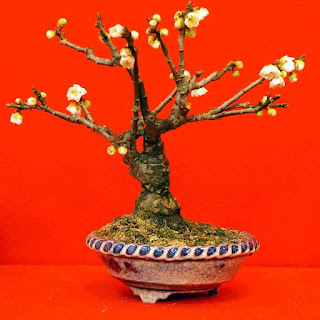 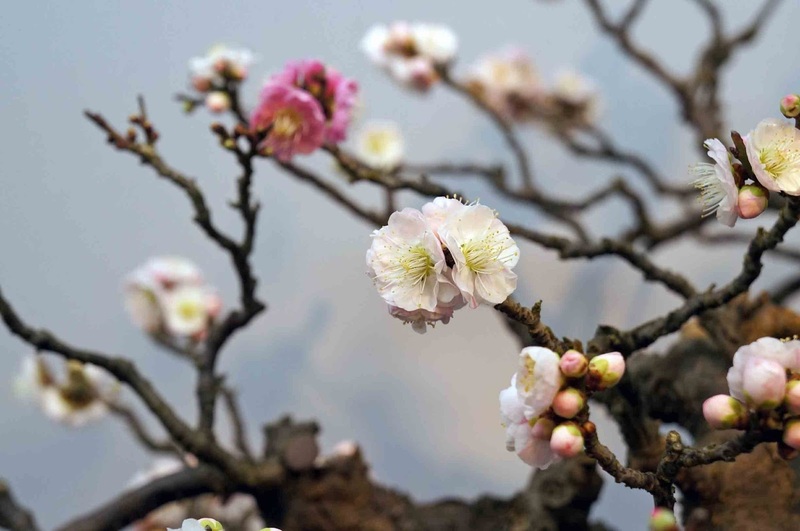 If you are a bonsai enthusiast or a Ume tree lover, and have a plan to visit Japan from now(January) to March 13, I strongly recommend you to go to see this exhibition. 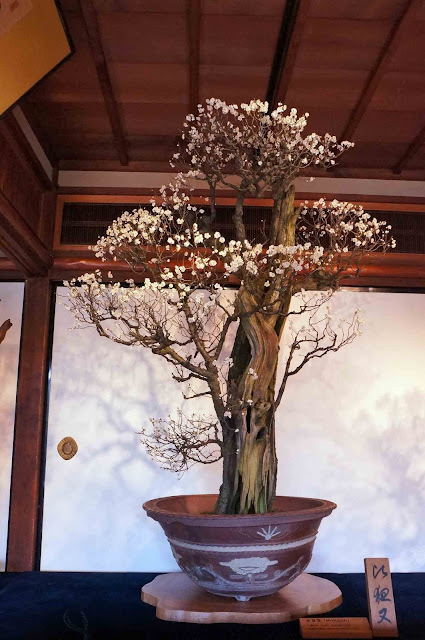 It is said that ｔhis Ume tree called "Sazare Iwa" is about 350 years old. 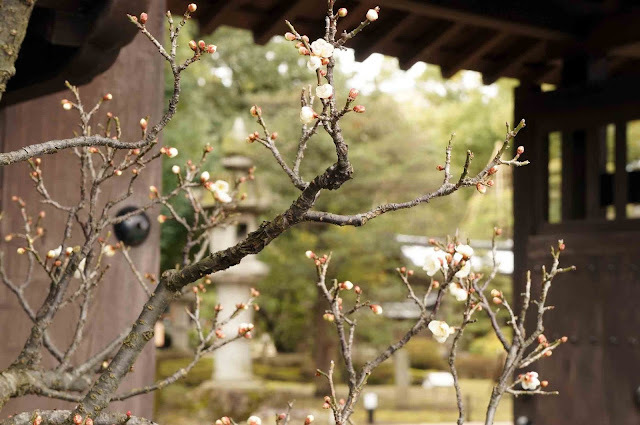 It is said that this Ume tree called "Chiyo-no-Koke" is about 200yeard old.